Search, locate and recover large zip files after completion of the scanning process. I have tried many ways to fix the corrupt Zip files, but was able to overcome the situation only after using this Zip file repair tool. Without giving me any sort of unwanted trouble or requiring any technical expertise, I was able to restore the zip file easily. Thanks! I was searching for Zip file recovery software to restore my damaged zip file. I got to know about the tool and to my surprise; I was able to fix the error in just a few minutes. Not only the tool was easy to operate but its exciting features are really very effective. The software allows you to recover files from corrupted ZIP archives. This incredible program scans the archive, detects the data structure and tries to recover as much information from the corrupted file as possible. It is very well embedded with advanced algorithm that allows easy repair of Zip files. While opting a manual method for recovering multiple corrupt zip files is always going to consume ample amount of time, this tool is always going to prove very helpful. With this software, it gets lot easier to restore multiple corrupt or damaged zip files at a same time. The software resolves all your problems encountered while opening or uncompressing large ZIP files by doing a robust ZIP repair. It extensively scans the entire file to retrieve all inaccessible information from the corrupt ZIP archive. The software displays the list of all the files specified within the archive folder. The display panel of the software shows all the recovered ZIP folders. A simple act of selecting a folder will allow you to preview all the files in that folder. Each file or item that Zip Repair tool lists and previews; showcases its associated details as well. You can view the file name, file size after compression, and file type after compression. This information will help you analyze the files that are being archived. 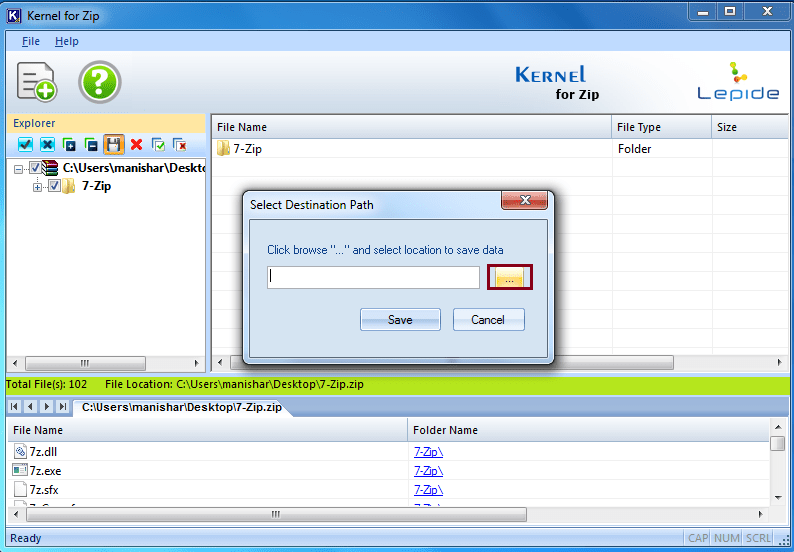 The tool lets you to repair your corrupt zip file effortlessly through its interactive GUI environment. It requires no necessary technical expertise or prior training, to access your damaged zip files. SelectIn the first step, click on the ADD ZIP File(s) button and select corrupt Zip file. PreviewIn next step, select any folder to get the preview of repaired Zip files. SaveIn the final step, click on the “Save” button and save the restored Zip file successfully. What are the steps of repairing a ZIP file? 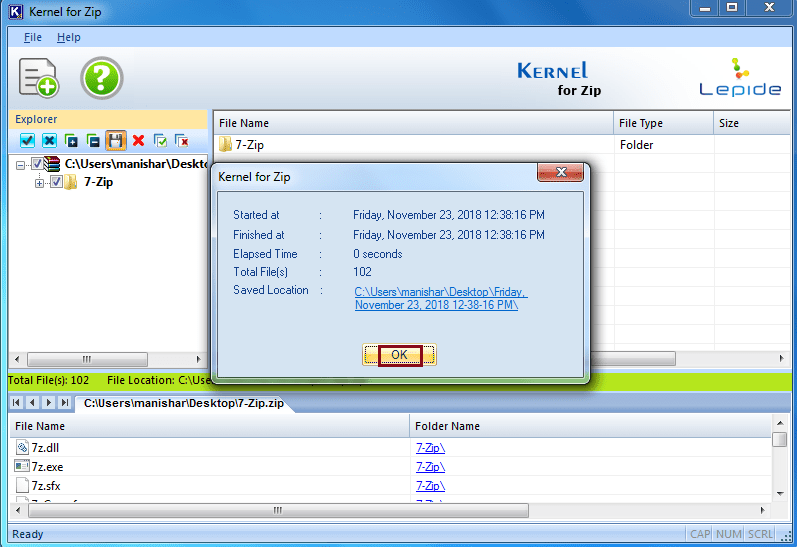 Install and Launch Kernel for ZIP repair tool on your system. 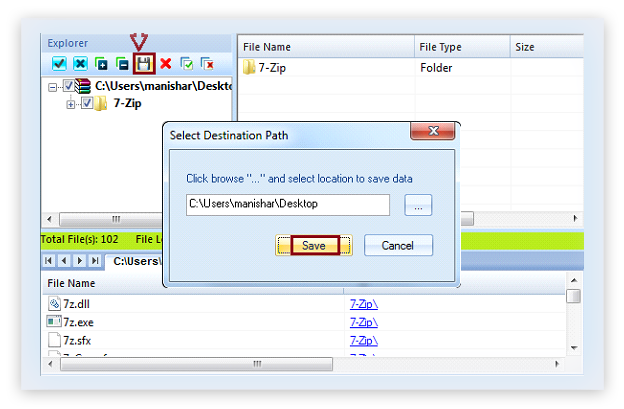 Click the Browse button to select the specific ZIP file from your system. 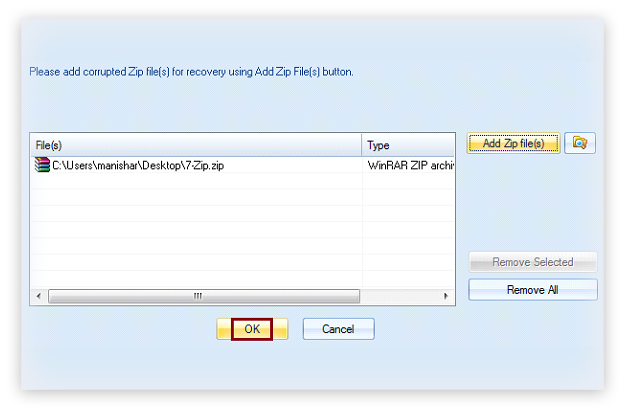 After selecting the file, click the Repair Files button to repair the ZIP file. Once the file is repaired, it will be shown in the tool. You can preview its content by selecting any folder. To save the files, click Save Files. Select the desired location on your system and click OK. I ran the demo version of the software and can preview the restored data, but cannot save it. Why is it so? Well, you must not forget that the demo version of the software is just to show you the possibility of the recovery. The demo version operates very similar to complete licensed version and displays a list of all repaired zip files in a hierarchical tree-like preview. But at the same time restrict its users from saving these files on the system. In order to save the repaired zip files at your desired location, it is important that you purchase the complete version of the tool. While I operate the software for restoring the damaged zip file, can I know the time duration it takes in recovering the file completely? In general, the time software consumes for scanning majorly depends upon the corruption level and size of the file. If you see the process in running stage that means that the software is still scanning the corrupted file. After the scanning procedure gets complete, you will get the repaired file in the destination location. Does the software have any compatibility issue? Not at all! 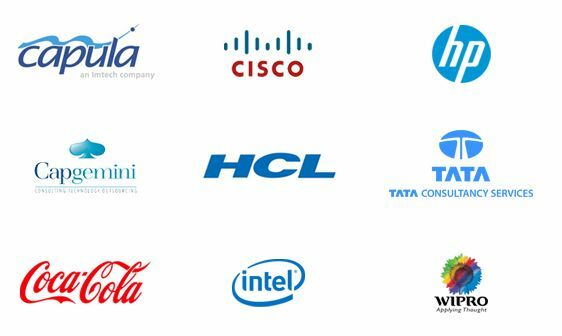 In fact, the software has been programmed in such a manner that it can be easily be run on any system installed with any versions of window operating systems such as Window XP, 2003, 2000, 7 and 8. While operating the software, do I require to hold rest all other process running in the system? No! The software has been programmed in such a manner that you can very easily conduct all other operations apart from restoring the damaged zip file. The tool doesn’t at all hamper the functioning of the operating system. The recovery procedure runs in the background without affecting any other running procedure. 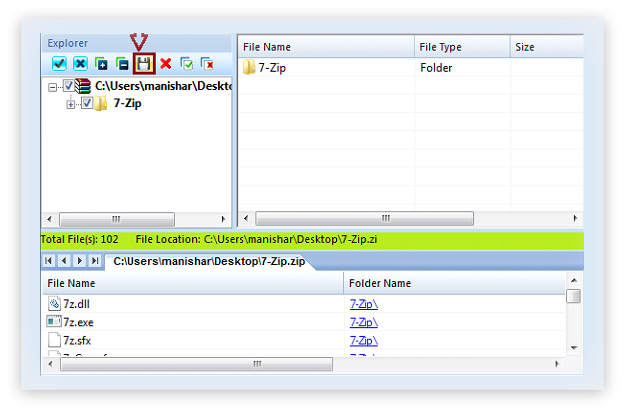 Supported VersionsSupports all versions of ZIP files compressed with ZIP compression utility. I appreciate the efforts put in by the support team; they helped in clearing things out about which I was confused. "The Tech-Support Team patiently helped me overcome many of the problems and confusion over the installation the support team took time to explain and I am very happy that I am using this tool which rightly deserves praise." The software saved me from juggling between various tools. I got the results within seconds. Click on Add zip file(s) on the very first screen. Click on Add Zip file(s), to add the corrupted zip file. Select the corrupted zip file and click on Open. After adding the file click on Ok.
Now, click on the Save to disk option, shown on the upper left corner. Now, select the desired location to save the file, by clicking on three dots (…). Finalize the location for the file and click on Ok. When the whole process is done, you will get the file details. Click on Ok to finish. 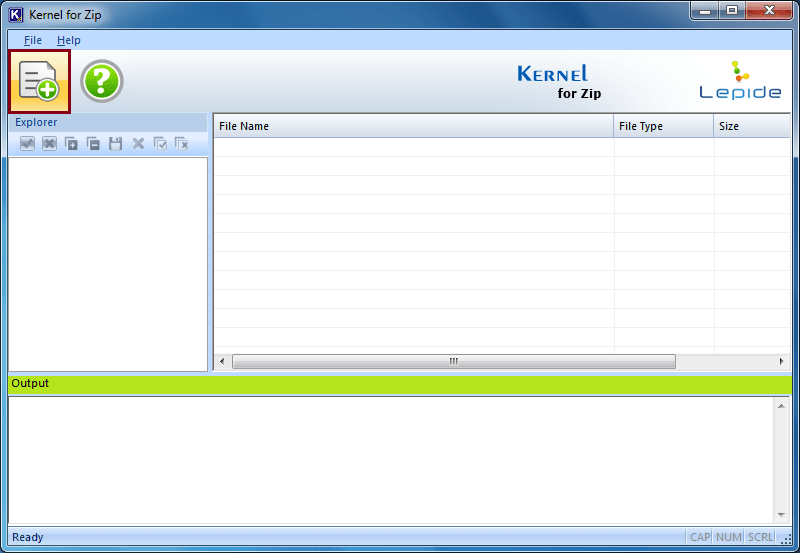 Updated version of Kernel for ZIP i.e. 11.10.01 is now available for users. In updated version of the software support for repairing multiple files and more powerful recovery engine for repairing highly corrupted zip files. Kernel for Tape recovers all the damaged data from all types of corrupted tape cartridges like DLT, AIT, LTO, and DAT tape formats. Missing and deleted files can be easily recovered with the help of the software. 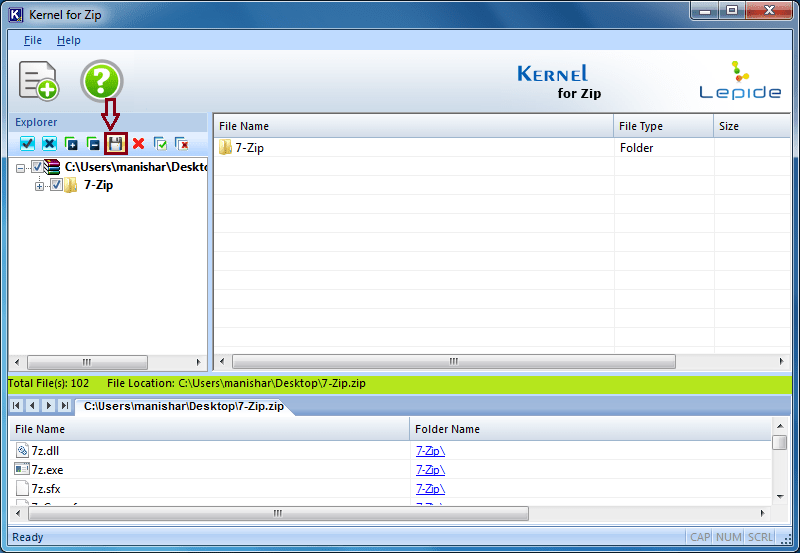 Kernel for Zip recovers files from your corrupted zip folders. These files generally get corrupted due to incomplete downloads, virus attacks or CRC errors. The software supports recovery from zip files which are compressed using WinZip or any other compression utility.